You can always schedule a free pick up and delivery for your garments as well, if you’re ever too busy to make a stop at our dry cleaning shop. Also, feel free to give us a call if you should have any questions about our cleaning services, and you’re welcome to continue reading to learn more about our dry cleaning services, our wash, dry, and fold services, and our various specialty item cleaning services — all of which are detailed below. From your best items to those delicate, old favorites, we can dry clean any garments that need a bit of extra care. If you have any articles of clothing around the house that have that infamous “Dry Clean Only” label, don’t fret. We can clean these garments in a jiff, so that your wardrobe is complete once again. Your business attire likely includes some of the most valuable items in your wardrobe, and it’s these articles of clothing that you need to be certain are clean — after all, they represent you in your most professional environments. We clean suits, dresses, slacks, blazers, vests, you name it. We always use delicate eco-friendly dry cleaning procedures, so that you can trust your business wear will look great, smell great, and feel wonderful for months on end.. Cleaning your evening wear can prove to be a difficult task, especially if you’ve accidentally spilled wine on your favorite dinner party dress, or dunked your button-up sleeve into the hummus at the last house warming party you attended. On top of the wear and tear that these articles endure, they’re probably your most cherished pieces of clothing on the hangers in your closet. Fortunately, we make cleaning these precious pieces simple; you won’t have to lift a finger. We offer dry cleaning services for all of your evening wear, and we offer stain removal services for those little accidents that happen to the best of us. Sportswear may be the only articles of clothing that actually endure more wear and tear than your evening wear. If you have sportswear that’s covered in grass stains, sweat, and mud, we can clean it. No matter how soiled these items have become, we can clean them. We even work with all of those odd materials that your sports clothing may be made out of, from lycra to nylon and beyond. Do you have a scarf that’s landed in a mud puddle? Or perhaps your tie made its way into your morning coffee. Regardless, we can help. We provide cleaning services for all those little wardrobe accessories that you rely on to make your attire pop. Count on us for stain removal and cleaning services for your wardrobe accessories. Feel free to read more about our garment cleaning and restoration services, and don't forget to take advantage of our free pick up and delivery services. Do you have hampers that are overflowing with clothing? Or perhaps you simply don’t have time in your busy life to do all of the laundry around the house — what with the kids’ soccer practice, work, dogs to walk, and your social life. Well, we’re here to help. We offer wash, dry, and fold services so that you won’t have to lift a finger to clean every article of clothing in your home. Once again, we even offer free pick up and delivery services to make things even easier. You’ll love our wash, dry, and fold services, and we’re certain you’ll take advantage of the convenience more than once once you’ve given it a try! Our services don’t stop at dry cleaning and our wash, fold, and dry services — we also offer a litany of cleaning services for all the specialty items and articles around your house. From vintage items to fine rugs, and from your wedding gown to your leather jacket, we can clean them all. Here’s a more comprehensive list of the items that we can clean. Like your evening wear, your wedding dress is liable to endure a myriad of stains and sweat (it happens!) on your big day. But you won’t have to toss out the most expensive garment that you’ve ever put on. Just drop by our shop, and we’ll give it a thorough, yet delicate cleaning, so you can continue to cherish the most beautiful dress you own. With dirt, pet dander, spilt beverages, and crumbs from the dinner party you had last night, your fine rug may no longer look so fine. No worries. We clean fine rugs with a deep cleaning process that pulls up stains, dander, and ground-in dirt. Your rug will look nearly as good as it did the day you found it! If you have a vintage item, it’s likely that it is as valuable to you as it is delicate. We can clean these vintage items with the care necessary to ensure that they continue to last you for years to come. We may even be able to help you with stitching and repairs! Leather, suede, and fur all require special care — and that’s exactly what we provide here at Best Cleaners. We can clean your leather, suede, and fur items without damaging the integrity of the material. Feel free to read more about our garment cleaning and restoration services, and don't forget to take advantage of our free pick up and delivery services! For all those large, unwieldy items that won’t fit in your washer at home, we can clean them for you. We clean comforters, blankets, shams, drapes, and rugs. Your comforters and blankets could weigh several pounds, even before they’re wet, and they’ll wreak havoc on your washer if you try to push a full blanket in for a cleaning. Instead of destroying your washer and dryer, trust us to wash your bulkiest items. The shams on your pillows are likely delicate, yet they’ll need cleaning just as often as your blankets. We can clean your shams, including shams with embroidered elements, and shams made out of delicate materials. Your drapes will end up collecting as much dust as your rugs, over time. If you have drapes throughout the abode, however large they may be, we can clean them. Plus, with our pick up and delivery services, you won’t have to worry about hauling your drapes around! We clean any and all rugs that you may have in your house, so that your rugs will feel great underfoot. We’d be happy to give your rug a deep cleaning so that you can enjoy it once again! When you encounter an emergency, you may not be able to salvage your clothes and other articles around your home. However, with Best Cleaners, we may be able to help. We provide emergency clothes cleaning services for fire, water, and smoke damaged clothes. If you have clothes that have been affected by a fire, we may be able to mend and clean them, depending on the extent of the damage. Reach out to us or bring your clothes into the shop if you’re curious about what we can do for you. FWater damage can leave your clothes dirts, moldy, and discolored, but they may not be beyond salvage. Bring your water damaged garments in, and we’ll take a look! Smoke may seem impossible to amend, but we utilize deep cleaning techniques to coax smoke out of your clothes and other articles around your home. Don’t throw out your wardrobe if it has endured smoke damage! In addition to our cleaning services, we also offer tailoring and alterations, so that your garments are sure to fit perfectly. We can alter your garments, including hemming, stitching, and adding fabric, in order to ensure that they fit you like a glove. We also offer tailoring services if you’d like to custom tailor a suit, dress, pants, or other garment. 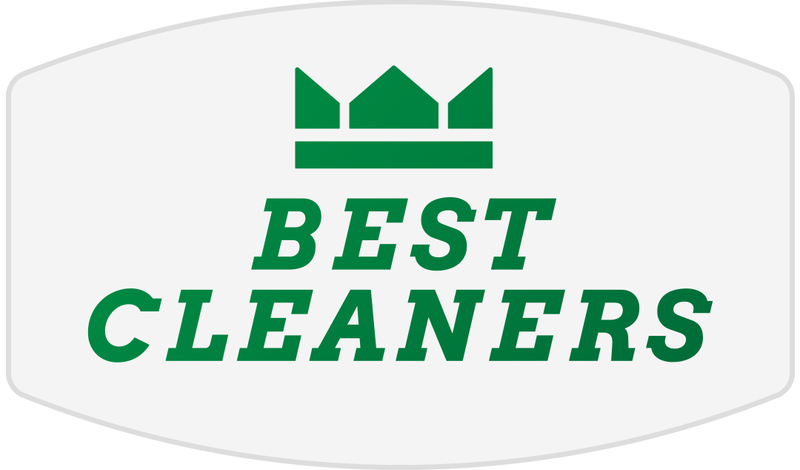 Ready to find out why folks trust Best Cleaners for all of their garment cleaning services? Then stop by our dry cleaning shop today — or, as we mentioned, you can always call us for a free pick up and drop off! We look forward to working with you!